Sitecore 9.1 Initial Release was released on 28th November 2018 (also day when this post was published). 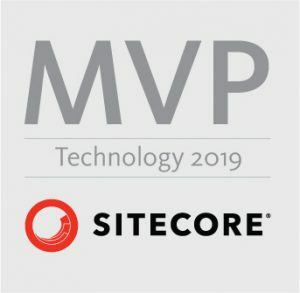 In this post I will walk you through really quick installation of this version of Sitecore for your development machine. Microsoft SQL Server 2014 SP2 – Only supports XM databases. xDB databases not supported. MongoDB Server 3.6.6 – This is required if you are going to use MongoDB for the Collection database or as a Session State Provider. Do not forget to enable contained databases! For more information see this article about contained databases. Microsoft PowerShell® version 5.1 or later is required. Sitecore XP 9.1 requires .NET Framework 4.7.1 or later. Sitecore Identity server requires .NET Core Runtime 2.1.3 or later. You must apply any available updates to the .NET Framework on every Sitecore installation. You don’t need to install these by yourself upfront as new feature in Sitecore 9.1 installation package will check and install all prerequisites for you. See chapter 4b) of this blog post. Awesome! We will download all necessary installation files in this step. 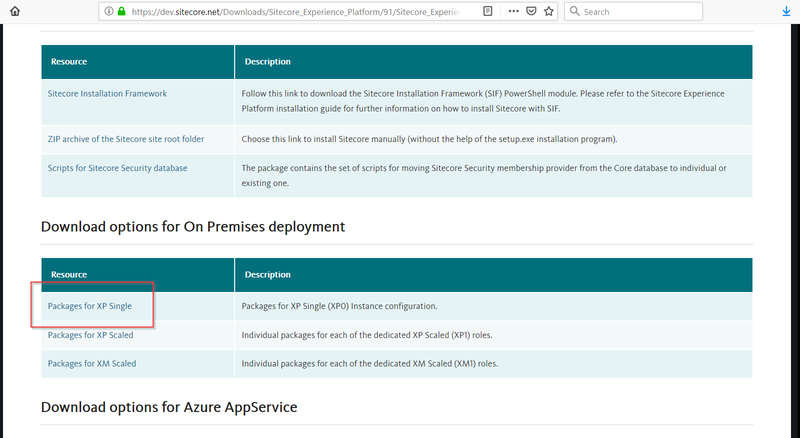 It is really great that Sitecore first time provides also “Quick installation guide” for developers to install Sitecore 9.1 on standalone developer machine. Awesome! Jeremy Davis created really nice ps1 script to help you with Solr installation. So you don’t need to do something like this anymore. You can download this script from his blog post or directly from his GitHub gist. I have created this file with name “01_InstallSolr_ByJeremyDavis.ps1”. 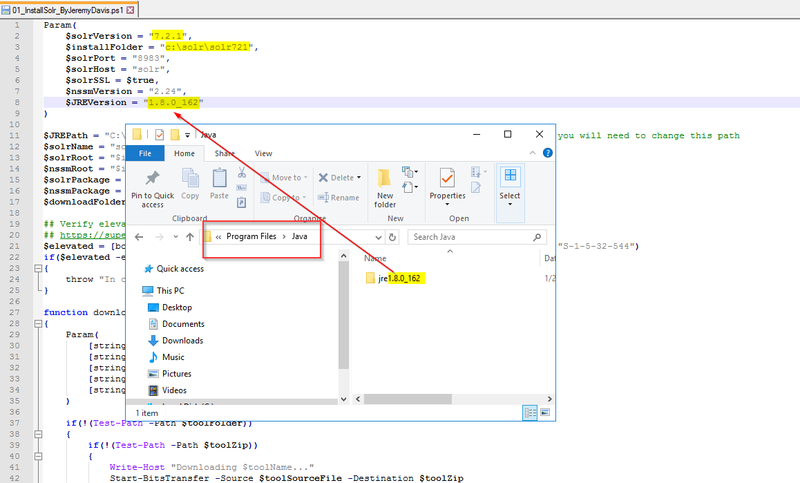 You can find this script / file also in my GitHub Repository or directly here where I have changed all necessary values accordingly to what is needed for Sitecore 9.1 especially Solr version was changed to 7.2.1. Copy into this folder also your license.xml file! I have also renamed the OOTB ps1 file “XP0-SingleDeveloper.ps1” to “02_InstallSitecore_XP0-SingleDeveloper.ps1” just to have correct order of ps1 scripts to run. You can also download it from my GitHub repository with predefined values from this article. And let’s go to final step and install Sitecore 9.1! 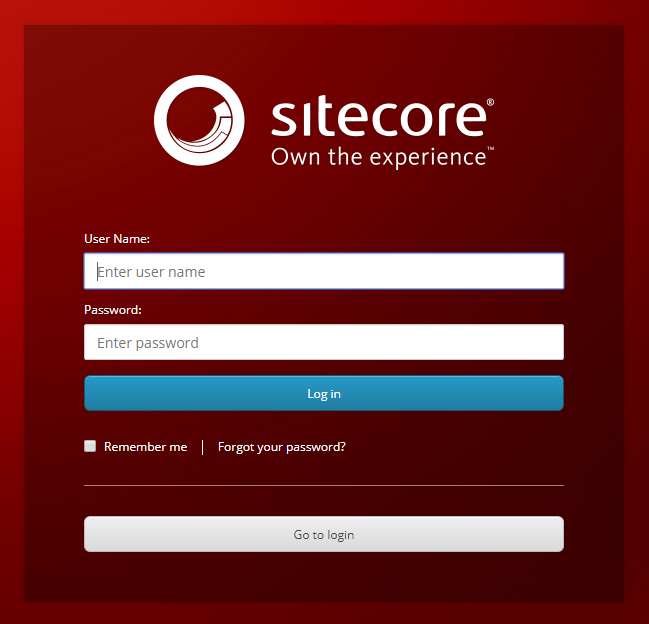 Sitecore 9.1 supports new version of SIF – Sitecore Installation Framework 2.0. This version needs Powershell 5.1 to run. Last one will also install latest version of SIF side by side existing version (if you have installed Sitecore 9.0 on the same machine before). 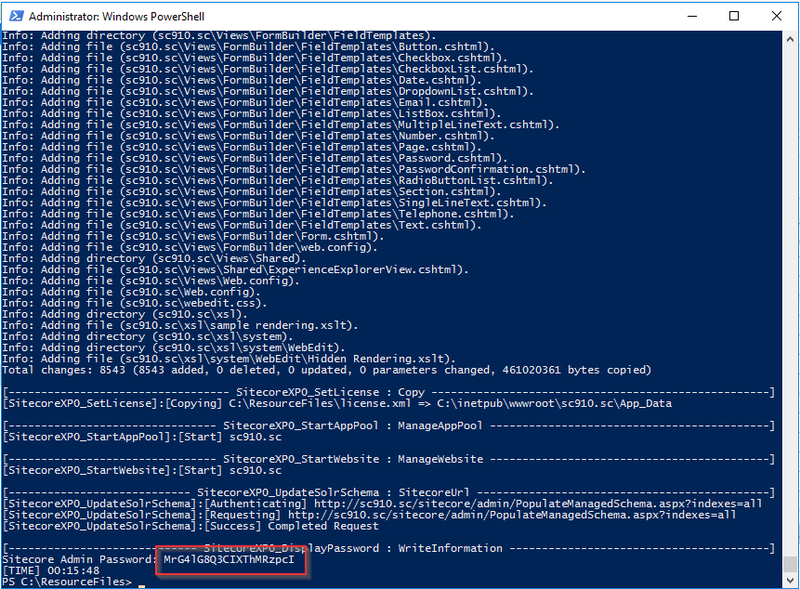 Open PowerShell Command Prompt as Administrator and navigate to “C:\ResourceFiles” folder or any other folder where you are doing installation from. No more manual downloads or installation. Sitecore SIF will take care of that! As you can see, I have copied the files into “C:\ResourceFiles” folder. 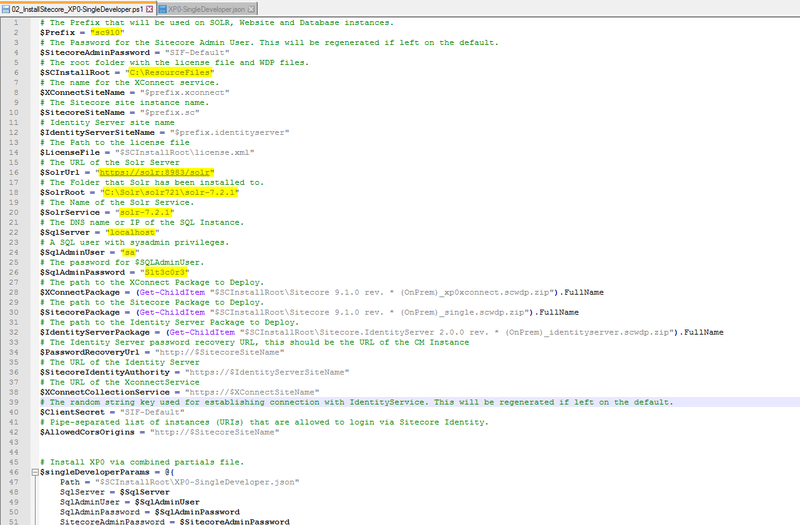 I have also adjusted sql server credentials and variables regarding solr. Open the script in PowerShell Command Prompt as Administrator and run it. It was opened amazingly fast and also the performance of each application seems to be tuned up. 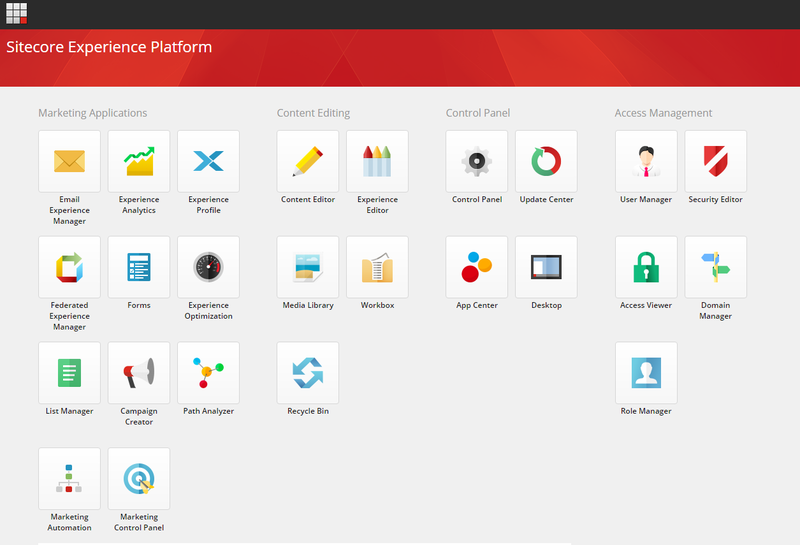 Good job Sitecore! I will definitely explore this more and publish some followup blog posts from my findings! Current article has a mismatch in these sections with officially supported version. I used Quick Installation Guide to grab these information. I see that in Installation Guide it is a bit more restricted. I have already contacted Sitecore to fix it. I will fix it once I have answer from Sitecore which guide is valid. Thanks for pointing it out Yuliia! I am was trying to install Solr. I have followed all the steps specified. But I am getting an error in power shell like this below.Could you please let me know what must have went wrong. Thanks in advance. Start-Service : Failed to start service ‘solr-7.2.1 (solr-7.2.1)’. Hi Peter, Thanks for quick response. I did ask in SSE and in the meanwhile I am checking if there is any typo. Update – I was able to start Solr. Issue was that my browser was 64 bit and JAVA JRE was 32 bit. I downloaded the 64 bit JAVA JRE for it to work. Thanks!